Those who live in the Mahoning Valley are blessed with abundant water—above ground, below ground, in streams, creeks, rivers, ponds and reservoirs. Water for drinking, irrigation, washing, swimming, fishing and industrial processes; it is arguably our most precious local resource for the 21st century. Is it possible to have too much of a good thing? That certainly was the case a century ago, in March 1913. 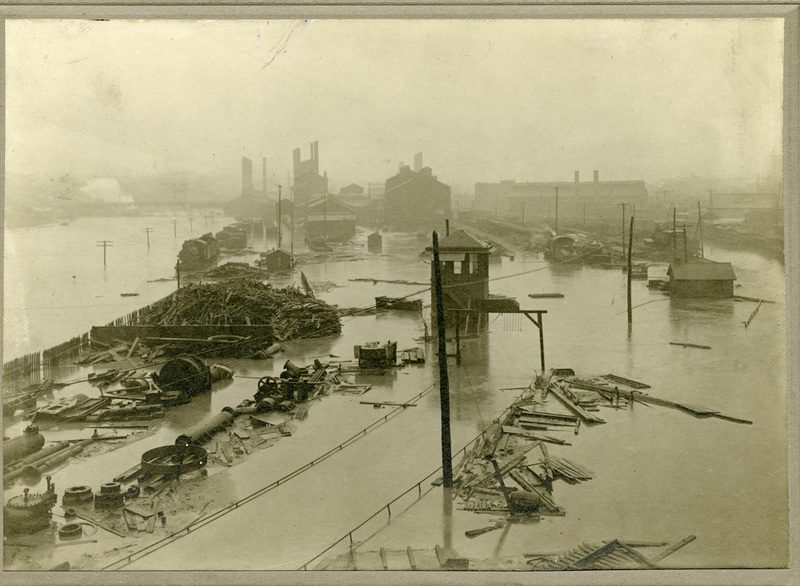 Rain started to fall all across Ohio on Easter Sunday, March 23, 1913. It continued, heavy at times and almost non-stop, for four days. Youngstown recorded 4.26” of rain between March 23 and 26, and the Mahoning River rose to 22 feet above its normal water level. The flood plains all along the Mahoning River and its tributaries were inundated with water. The Mahoning Valley region was spared from the widespread destruction of homes and farms—and loss of life—experienced in other parts of Ohio because most residents lived on the hills and plateaus above the river and stream beds. But some people experienced damage or destruction of their homes in low lying areas from Leavittsburg to Lowellville, and all Youngstown residents were without water when the pumps and treatment facility were shut down by the floods. Damage to commercial and industrial properties in the Valley was great. 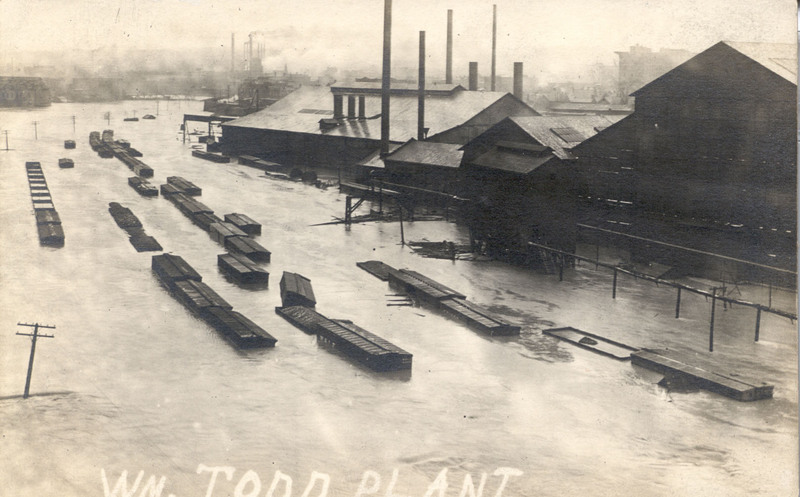 Many downtown business districts for local villages and cities were on the flood plains, and the iron and steel mills and railroads also were heavily concentrated long the Mahoning River. Losses in store inventories, freight, raw materials, manufacturing equipment, production and wages were in the millions of dollars. Many bridges were threatened by rising water and debris collecting in their structures, and some, including the Division Street and West Avenue bridges on Youngstown’s north and west sides, collapsed. Ironically, the City of Youngstown already had bought land along the east branch of the Mahoning River in Milton Township, Mahoning County, for the construction of a reservoir prior to the 1913 flood. The purpose of this first large impoundment of the river was to keep water levels high enough year-round to provide water for cooling in the City’s iron and steel mills. After March 1913 the additional need for flood control was paramount, and construction of the Lake Milton dam began that year and was completed in 1917. 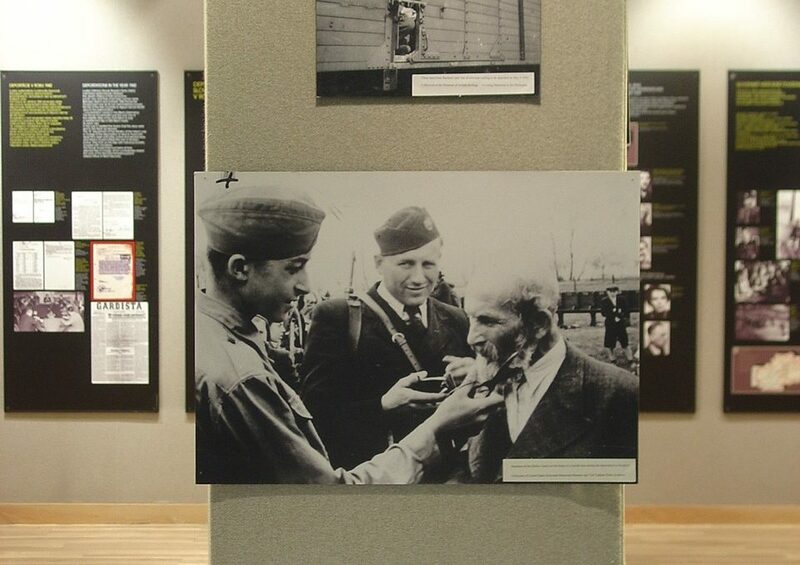 The U.S. Army Corps of Engineers built four more reservoirs in the region throughout the 20th century to maintain water levels and to provide flood control: Berlin Reservoir in Mahoning and Portage Counties (1941-43); Mosquito Reservoir in Trumbull County (1943-44); Shenango Reservoir in Trumbull County and Mercer County, Pennsylvania (1963-67); and the Michael J. Kirwan, or West Branch, Reservoir in Portage County (1963-66). Other reservoirs were built in the Mahoning River Watershed to provide drinking water and recreation over the past century. The Mahoning River and its tributaries still experience flooding after heavy rains and snowfalls, and people who live, work, and drive in flood-prone areas need to be cautious. 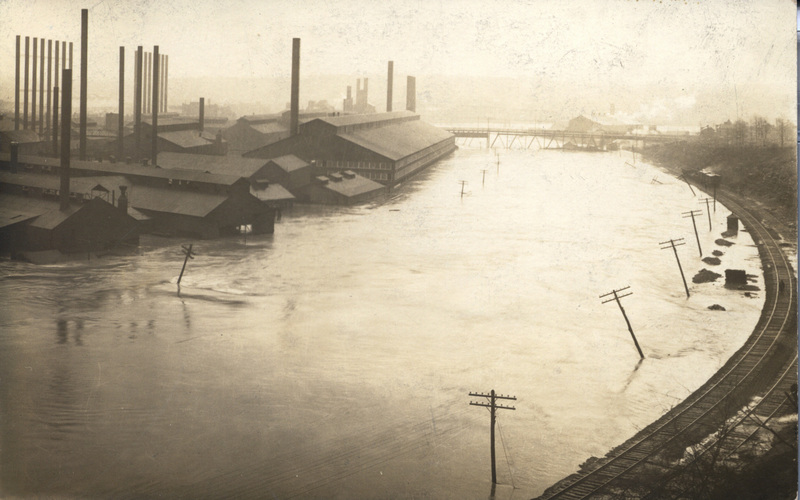 But nothing recorded before or since the 1913 flood can compare to what happened in the Mahoning Valley during that fateful week in March 100 years ago.